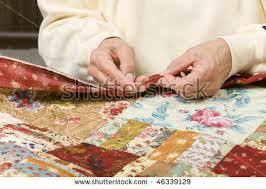 Are you looking for quilting services? Several of our members offer their quilting services for hire. Please contact members directly for further information. KEPT IN STITCHES:Tracy started "Kept In Stitches" in 2009 with a passion for quilting. Tracy’s main focus is creating custom quilts (t-shirt, memory, baby quilts, etc.). However, Tracy also does hand guided quilting and binding. She works closely with clients and uses quality materials to create quilts they'll love and cherish for many years. QUILTED MEMORIES: Turn those old t-shirts into a lasting memory. Personalizing and customizing available. T-SHIRT MEMORY QUILTS: T-Shirt quilts, baby clothes and quilts.